Recently I had to connect to some customer over vpn and one of the requirement for that network is that client needs to have antivirus installed in it. This being my VM for support, I never thought that I would want to install AV in it. 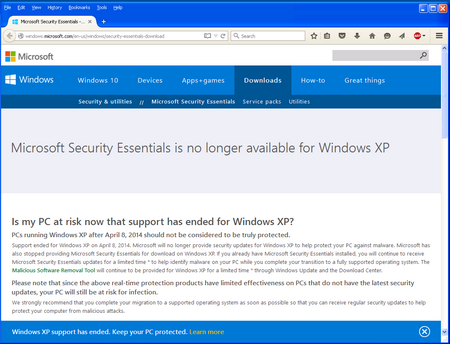 So I was Googleing for AV software that can be installed on XP and natually I thought that I would want to use MSFT Security Essentials because it’s very light weight (how good it is at protecting things is totally different story). 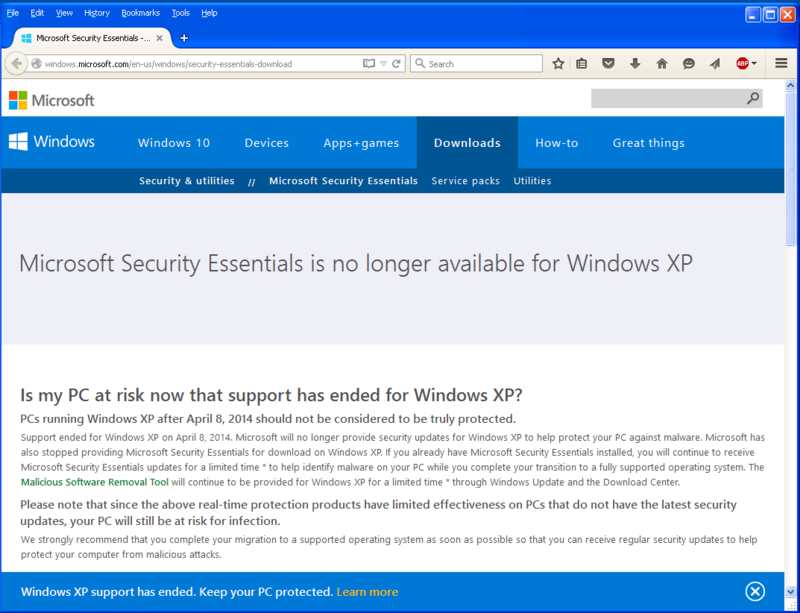 But to my surprise, I found that XP is not supported by MSFT, instead it suggested that I upgrade to newer OS !! So I thought that everyone in general hate Windows XP and I won’t be able to find any AV for it. But to my surprise, I found that one my favorite AV, Avast still supports XP and it gladly got installed in it. This entry was posted by Gaurang on June 5, 2015 at 9:58 pm, and is filed under Babbling. Follow any responses to this post through RSS 2.0. You can skip to the end and leave a response. Pinging is currently not allowed.